Be sure to check out the introduction if you’re interested in reading about my Around-The-World Journey visiting six countries, flying over 42,000 miles in first class (except for two very short segments) and having the opportunity to experience Singapore Airlines Suites Class and Emirates First Class. After a short layover at the Narita Hilton I headed back to the airport for my flight to Shanghai-Pudong Airport. 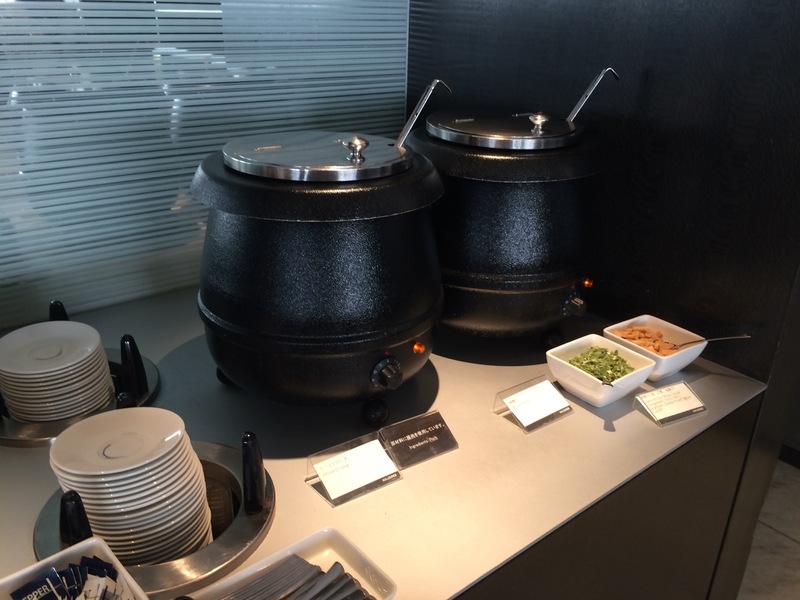 Because of my Star Alliance Gold status with United Airlines I had the opportunity to visit the ANA Business Class lounge. In Terminal 1 they have two lounges satellite 4 and 5, 4 is only for First Class guests and 5 has two sections (Business Class and Suites Class). In this case I went to 5 since I was in Business Class. 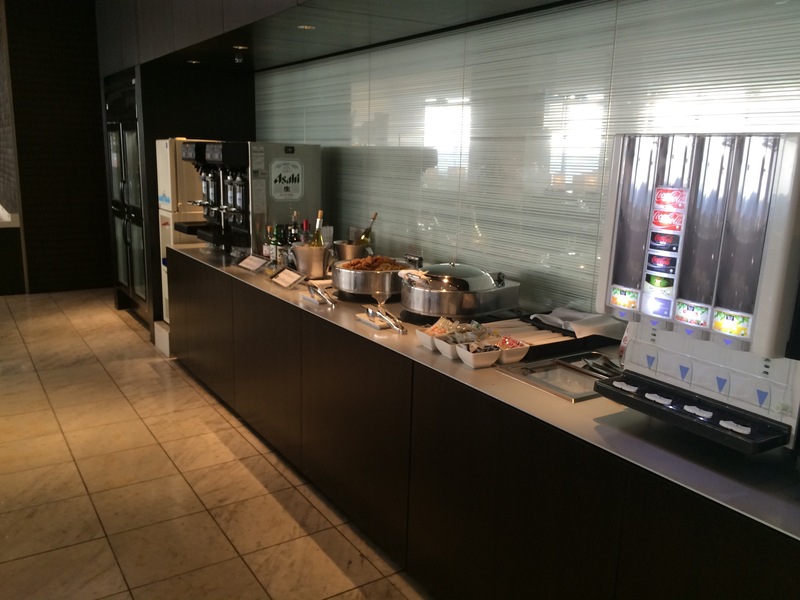 As Business Class Lounges go ANA at Narita some of my favorites. They are open and expansive, offer copious amounts of food choices, an incredible beer machine, and a killer noodle bar. Seating here is unlimited. I mean I’m guessing capacity is close to 400 people. I’d hate to be here when it’s that full. Between having lots of window seats onto the tarmac, small groups of paired seating, tables and chairs and also larger grouped sections too you’ve got your choice of where to sit. It also seems like the smaller sections had plenty of power ports to charge your devices, with the bonus being that Japan uses the same 110 voltage and plugs we do here. As for food there’s plenty of options to choose from. There were sandwiches, sushi, miso soup, salads, sweets, on this day squid ink noodles, fried chicken and even the hot noodle bar (my favorite amenity). Plus you have an awesome beer machine, did you click my link above? Fresh brewed teas and even beer, wine and spirits. I stuck to green tea and beer as my drink of choice. And if sushi, soup, beer salads , crackers and copious amounts of drinks you still could order four noodle dishes and one curry dish. 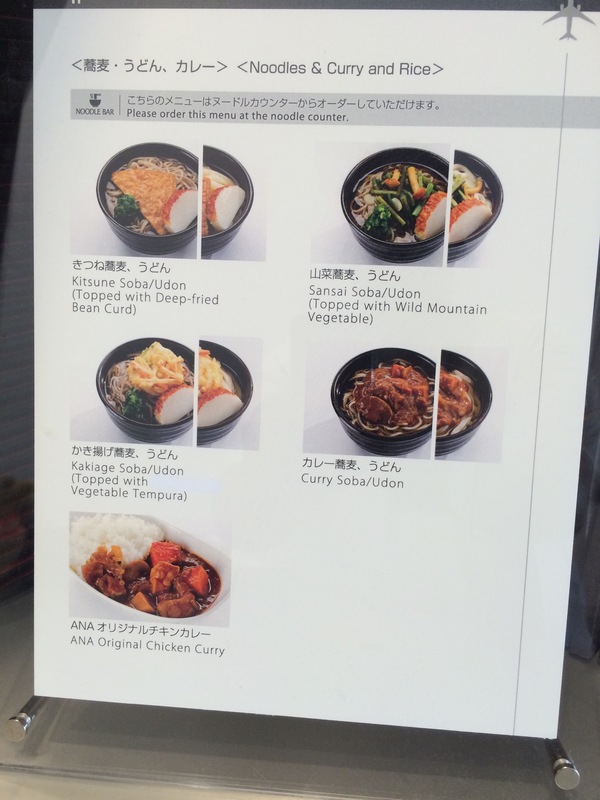 For me the best part is the made to order noodles or the curry and rice. Today for breakfast the item of choice was curry. 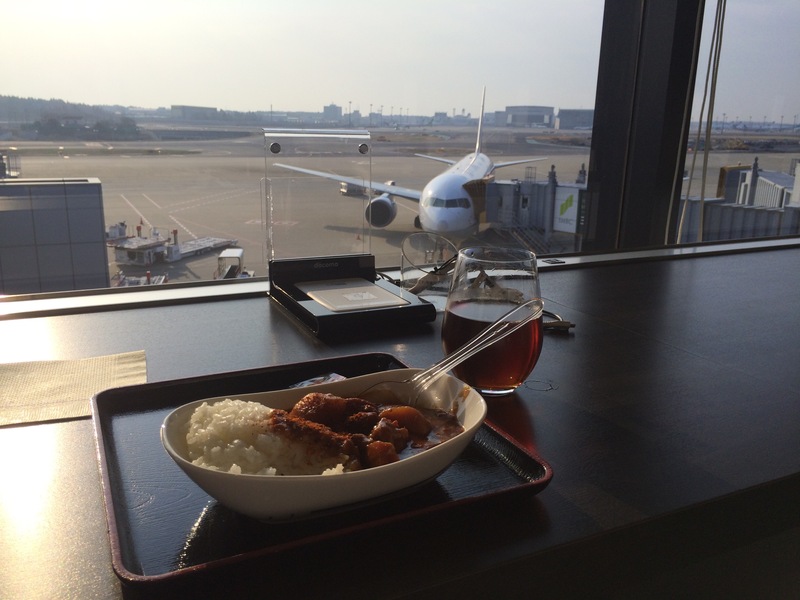 What better to have before a flight then good curry and a view of the tarmac? 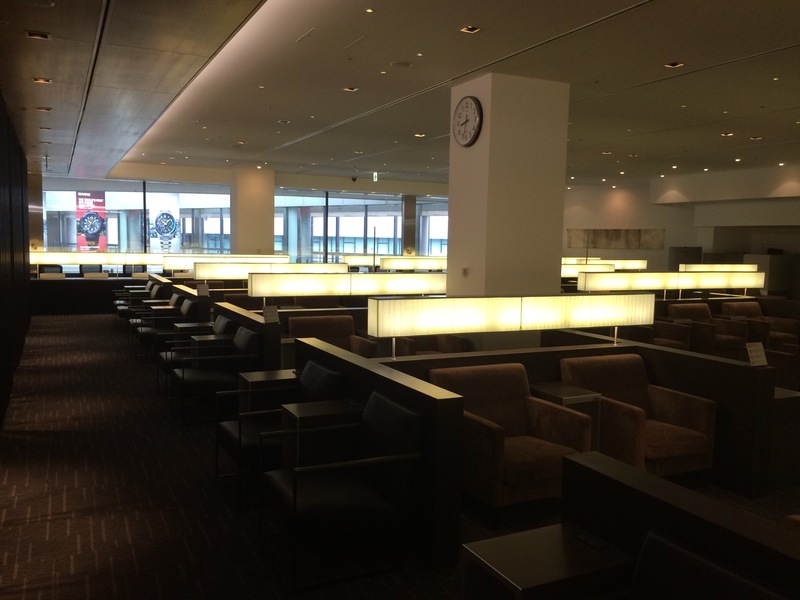 If you’re here and need a place to rest your legs, get in a shower or have a meal this ANA lounge s your place to go. 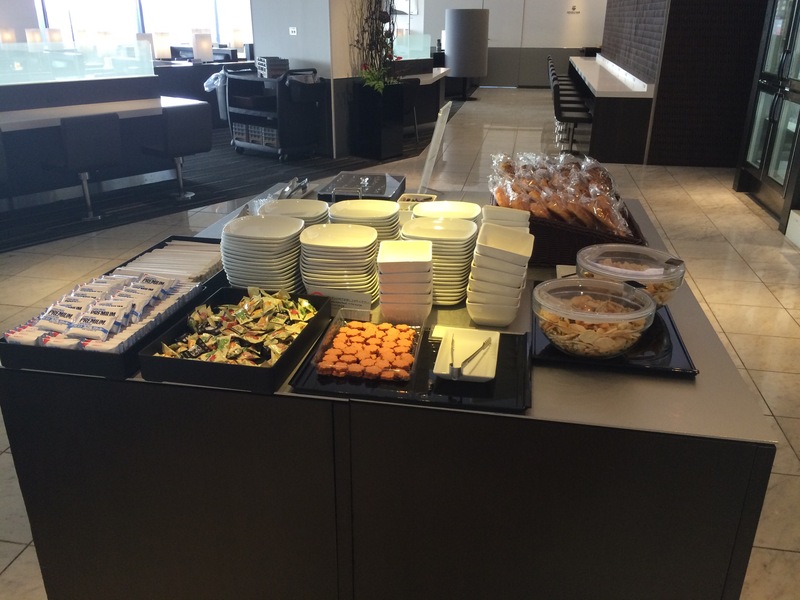 Don’t be fooled by the offer of the United Lounge if they tell you to go there. Sure it’s better then any United Lounge in the US, but you’re a all kinds of crazy if you take up there offer to go there. 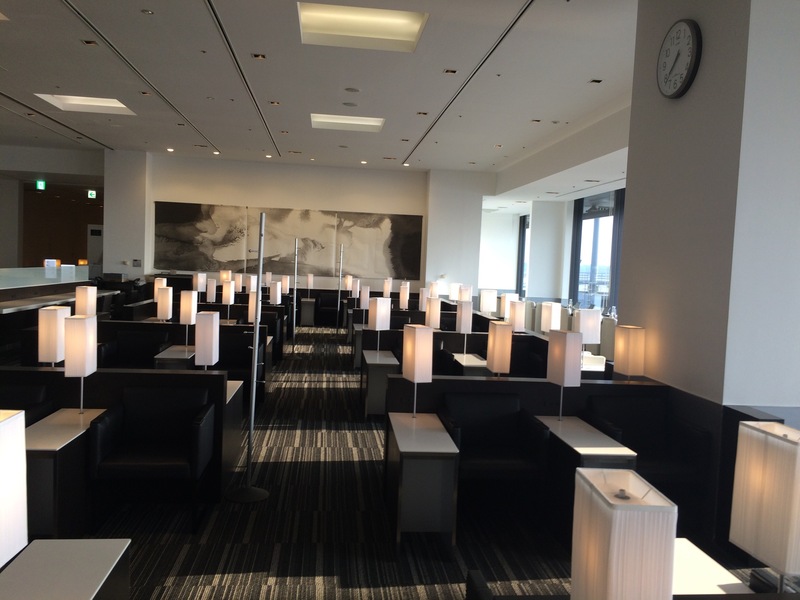 If you’re flying Business Class on any Star Alliance carrier or are Star Gld you can hit up this lounge instead. Trust me you’ll thank me later.